POLICE STORY: Three Bone-Breaking Films In One – Schlockmania! If your only experience with Jackie Chan is Hollywood-produced fare like Rush Hour, you’re missing out in a big way. 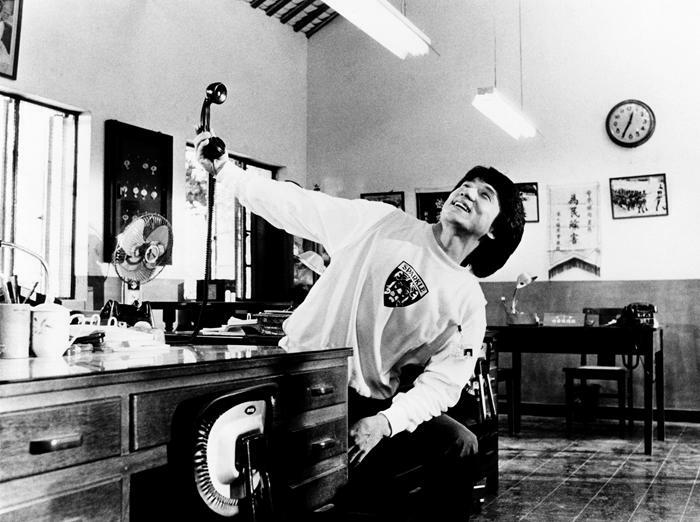 From the late ’70s throughout the 1980’s, he enjoyed his most creative and interesting period in Hong Kong, perfecting a blend of martial arts, acrobatic stunts and slapstick comedy that made him a dominant box office force in the Far East. The best place for a Western novice to begin is Police Story: he made better films during this classic era but Police Story is a great starting point because it shows off everything he can do in one convenient film. Chan’s character here is Ka-Kau, a cop who is forced to take decisive (if expensive) action when a sting operation goes wrong. He succeeds in capturing druglord Chu Tao (Chor Yuen) but the evidence is flimsy so he has to guard witness – and Chu Tao’s girlfriend – Selina (Brigitte Lin) until the trial. However, Chu Tao and his associates are full of tricks and do their best to sabotage the case as well as Ka-Kau’s career. Ka-Kau is forced into a corner by their treachery and has to fight against massive odds to bring down his enemy and restore his good name. 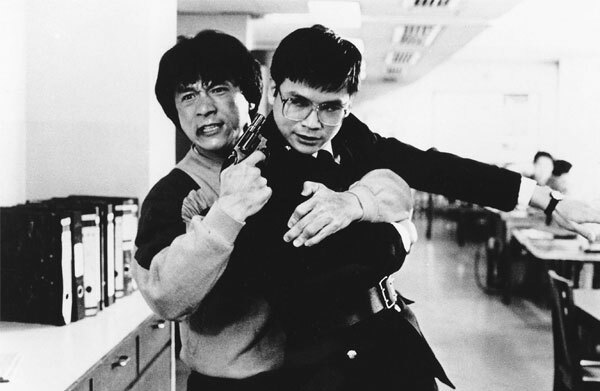 Police Story succeeds as a massive crowd-pleaser because it is essentially three films in one: it’s an action film with large-scale stunt sequences, a martial arts showcase and a venue for Chan’s skills as a slapstick comedian. Edward Tang’s script is simple in terms of characterization and plotting but that actually works here because it focuses its energy on a series of wild setpieces, juggling film’s comedy, action and martial arts elements in a very commercial way. Luckily for viewer s, those setpieces are frequently mind-blowing. Chan doubles as director here and his work reflects the years of experience he had gathered in choreographing and enacting action sequences. The opening scene features some dazzling car stunts, including the car-assisted destruction of a squatter village that Michael Bay shamelessly aped years later in Bad Boys II. Chan also pulls off a dazzling hand-to-hand fight that incorporates two cars as part of the choreography. That said, Police Story‘s claim to action fame is the amazing epic fight sequence that closes the film. It takes place in a mall and incorporates the kind of go-for-broke, “this is really happening” fight choreography that has endeared Hong Kong action films to cult film fanatics around the world. The action is as brutal as it acrobatic, involving leaps from dramatic heights and lots of people getting thrown through panes of glass. It all takes place in wide angles and is carefully edited so you can see that they’re actually doing everything you see with no cheats or cutaways. It’s the kind of action that will leave you feeling energized and breathless all at once – and is thus one of the great highlights of Chan’s filmography. As for the com edy, it will depend on the viewer’s taste for slapstick but it’s worth noting that Chan choreographs the gags as carefully as he does his action. A scene where he juggles multiple phones and phone conversations is an inspired throwback to silent film era comedy and a seeming throwaway gag involving a potted cactus pays off impressively in a later scene. Finally, it helps that Chan selected an excellent cast of Hong Kong actors to back him up. Lovely Brigitte Lin, better known to Hong Kong enthusiasts as The Bride With White Hair, is appealing as the film’s reluctant witness and former Shaw Brothers director Chor Yeun is effectively nasty as the film’s well- moneyed bad guy. Maggie Cheung also pops up as Ka-Kui’s long-suffering girlfriend: she doesn’t get to do as much here as she would in the Police Story sequels but she’s an excellent comic foil for Chan and does one memorably brutal stunt involving some stairs. It’s also worth noting that this is the first time Chan co-starred with Bill Tung, who plays his supervisor here. Again, later Chan films would find better uses for him but Tung has nice chemistry with Chan and would pop up frequently in his subsequent work. 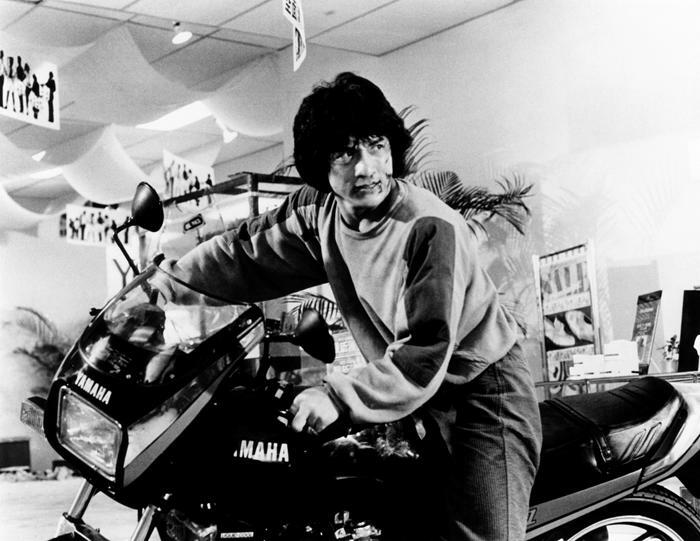 In short, Police Story remains a key Jackie Chan film because it maximizes on its star’s multifaceted skills in action and comedy. If you aren’t familiar with his Hong Kong work, it will show you why he’s such a big deal with the Asian film fanbase.